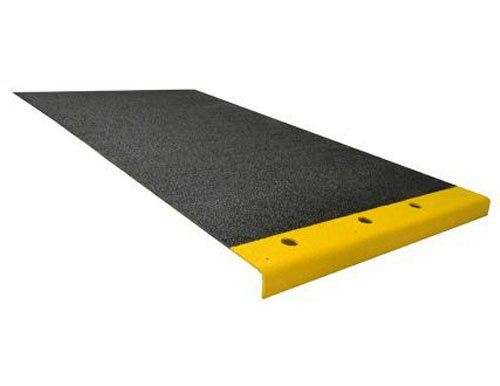 Our commercial non-slip fiberglass step covers and walkway applications are made with a proprietary blend of mineral abrasive epoxy grit that completely and safely covers surfaces to provide slip resistance, durability and a permanent anti-slip solution. 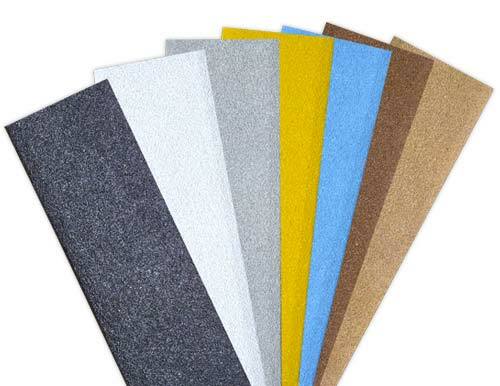 They are very lightweight, easy to apply and perfect for just about any structurally sound surface. Slipping and falling is the most common cause of accidents in the workplace. Aluminum stairs, scaffolding and wet floors are all much more hazardous than many people realize, and sometimes vigilance on an unsound surface isn’t enough to avoid a serious injury. These falls can happen to anybody at any time, which is why Sure-Foot offers a range of grit-coated fiberglass step and walkway covers. 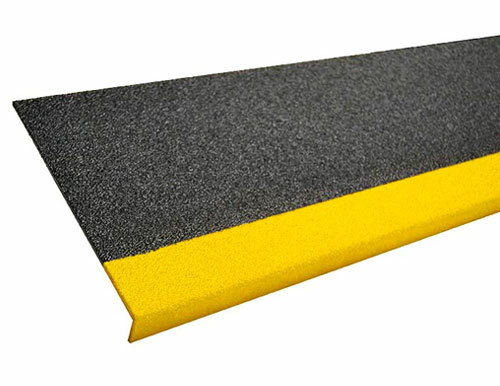 These non-slip coverings provide a permanent and durable anti-slip solution to businesses, construction sites, and other places where falls could be likely. While it is always important to exercise caution to avoid slipping and falling, our grit-coated stair covers and walkway covers will provide an extra level of protection without damaging your surfaces or being too obtrusive. Contact us today to speak with a representative about ordering our non-slip step and walkway covers for your place of business!